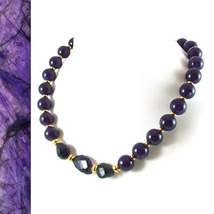 Deep, intense purple colors both the translucent jade and the faceted amethyst in this quietly elegant necklace. 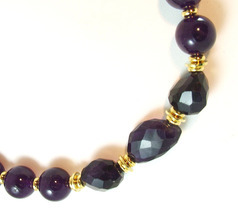 Between are sleek little goldplated rondelles lending an added richness. 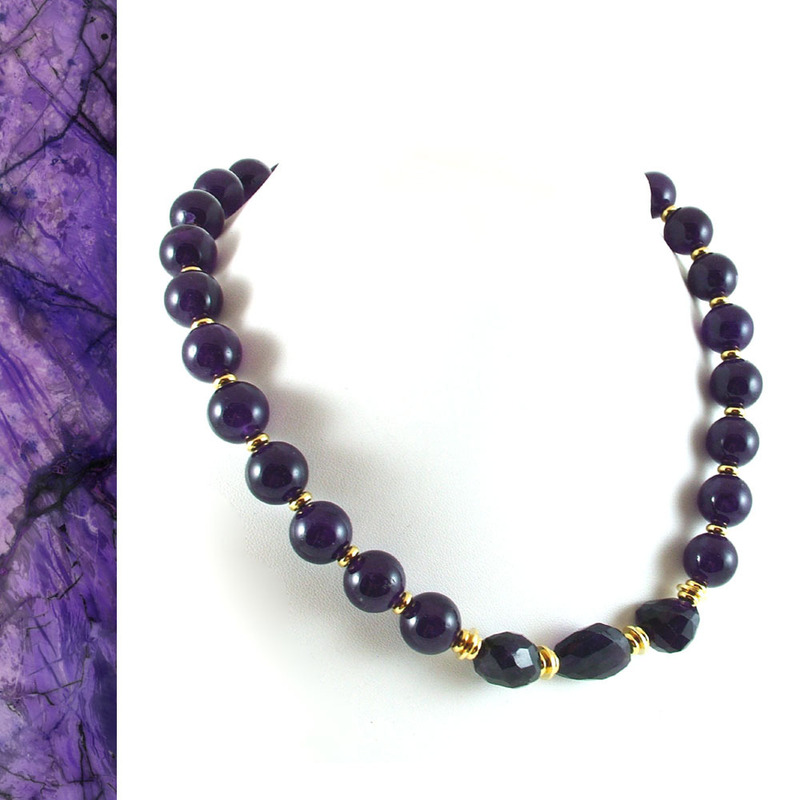 The clasp is a vermeil (gold washed sterling) toggle and loop. This will nestle right in your collarbone, a perfect 20 inch length for inside a collar.